Elon Musk made an audacious bet earlier this year: he said his company would install a 100 megawatt (MW) battery system in 100 days to help South Australia beat blackout woes – or the project would be free. Not only did Tesla deliver on that promise, but the battery system actually started sending stored wind energy to the grid one day ahead of schedule. Tesla’s 100MW/129 megawatt-hour (MWh) Powerpack system, called the Hornsdale Power Reserve, is connected to the French company Neoen-owned Hornsdale Wind Farm, which is South Australia’s biggest renewable generator right now. The battery project can power around 30,000 homes for one hour, and was called upon a day early to help meet peak demand, dispatching around 59 MW of power. The Powerpack project cost roughly around $50 million – and Tesla finished around 40 days before the deadline. It covers about one hectare of land and currently holds the title of the world’s biggest lithium-ion battery farm, but it won’t be long before it’s unseated by The Lyon Group’s $1 billion solar farm with 1.1 million batteries. 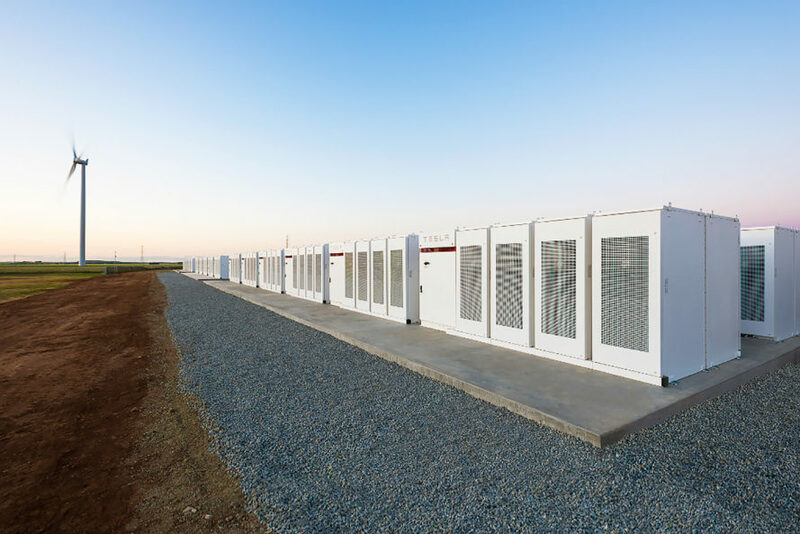 Tesla's 100 MW battery storage system in South Australia started dispatching power to the grid a day early. Tesla's South Australia Powerpack system is connected to the Hornsdale Wind Farm. The battery storage system could power around 30,000 homes for one hour.